for Fire Protection Companies - Same Day Training & Testing! Certificates meeting NFPA 10 requirements will be issued on successful completion of seminar and passing the test. Attendees will need to bring their own copy of NFPA 10. All other training material is provided. 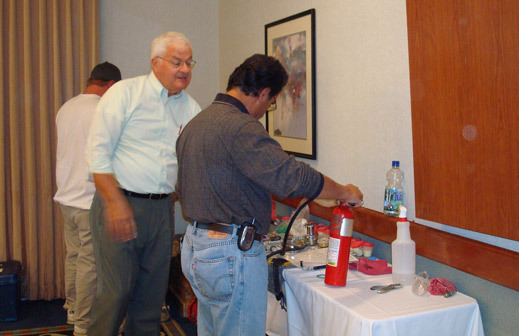 In addition to our one day seminars FPC offers more extensive training on Fire Extinguishers call 888-670-2965 or e-mail info@fpcltd.com for more information.